Vinyl flooring is a tried and true form of flooring for high traffic areas with easy maintenance. Vinyl tiles can replicate the look of wood, ceramic, or other high-end flooring types. 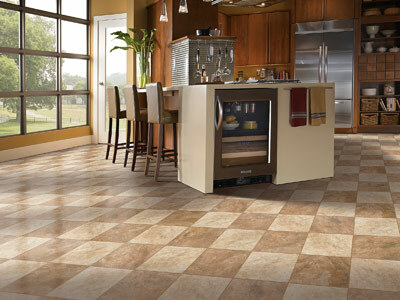 Vinyl flooring is a popular choice for kitchens, bathrooms, laundry rooms, and basements.